This is a brand new steering wheel as used by Stirling Moss in all his major races and SIGNED by the great man himself. It comes with a numbered certificate of authenticity. 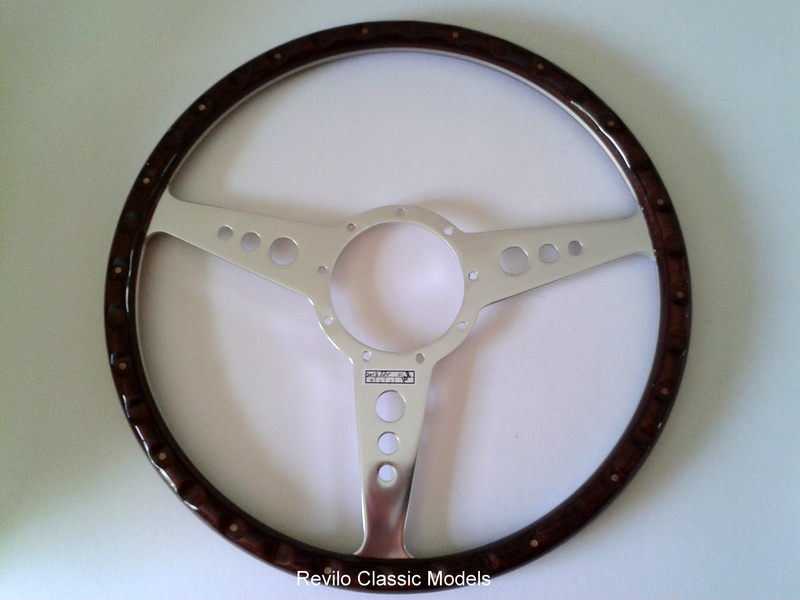 It also comes with an acrylic display stand if you just intend to display this beautiful and iconic steering wheel or it is Mota-Lita compatible with 9 holes around the centre if you wish to used it on your classic car. 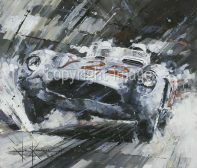 It would have been the steering wheel used in the Mille Miglia Mercedes 300SLR #722 featured in the ‘Heading for Victory’ Print by John Ketchell in the Art section and the same car in the model section. The three items together would make a fabulous display and homage to the great man and a famous victory.